Dr. Donde graduated from the University of Florida with honors and received bachelor degrees in both Psychology and Philosophy. He then attended Nova Southeastern University to obtain his master and doctoral degrees in Clinical Psychology. 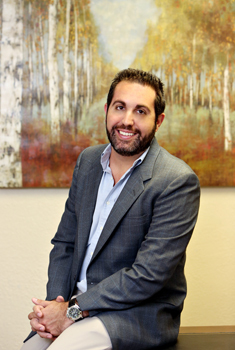 His clinical training and work experience have taken place in a wide range of treatment settings, including community mental health centers, university counseling centers, the Broward County Department of Detention and in private practice. These experiences have assisted him in procuring a wide range of skills to treat diverse populations and concerns. Dr. Donde performs private Psychoeducational evaluations for Gifted and Talented Program Placement and to identify Learning Disabilities. He also performs psychodiagnostic evaluations to identify: Mood, Anxiety, and Personality Disorders. During his clinical training and work experience, Dr. Donde has performed many hundreds of psychological evaluations for the Social Security Disability system including learning disability and personality assessment. Additionally, Dr. Donde conducts forensic evaluations on criminal defendants whose competence to proceed or mental state at the time of the offense is in question (click here). If you are interested in scheduling an appointment with Dr. Donde or if you would like to schedule a free initial phone consultation, please call Broward Psychology at: 954-505-4266.